Undoubtedly, lucid dream supplements work pretty very well in helping one with lucid dreaming, they don’t necessarily always makes one conscious inside his dreams but they do increase the possibility. But, I have never advocated the use of such supplements and that’s why I am going to inform you about some lucid dreaming food items here which you can use as an alternative. Before discussing lucid dream inducing food items, I would like to inform you about a hormone that is essential for getting vivid dreams because our focus would be to increase the amount of this particular hormone in the body for the purpose of lucid dreaming. There is a gland named pineal gland outside the blood-brain barrier in our body which produces a hormone called melatonin. Melatonin plays a great role in giving deeper relaxation, better sleep cycles and vivid dreams. Darkness causes the increase in the production of this hormone and that’s the reason behind the sound sleep we get when the lights are switched off. It is known that when the amount of this hormone is increased in the body, frequent REM cycles occurs, which means the probability of getting a lucid dream increases. Most of the supplements help us to get frequent vivid dreams by increasing the production of this hormone only. But, there are easily available food items that will do that for you in a much safer way. However, there are many food items that contain melatonin but the amount is so low that it becomes impossible to see any fast results with them. So, here I am providing the top 5 food items that can increase the vividness of your dreams significantly. White Mustard Seeds are much better than those pills with which we lucid dreamers keep on experimenting because it contains about 378 nano grams of melatonin per tablespoon which is higher than any else item on the list. I agree that they are all not very friendly to our tongues, but they are our best buddies when it comes to dreaming. Next on the list is Black Mustard Seeds that contain about 258 nano grams of melatonin per tbsp. Here is something that is better in taste than the above two but, the melatonin amount in it is very less which is about 39 nano grams per gram. The melatonin quantity in Sunflower Seeds is about 29 nano grams per tablespoon. Finally, here is something that we would absolutely love to eat before going to bed. 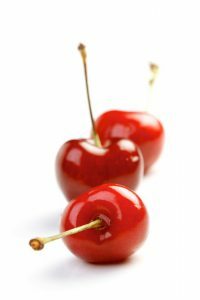 Unfortunately, there are only 15 nano grams of melatonin present in every gram of cherry. These were those top 5 food items that you may prefer before your bed time to get more vivid dreams but after taking them do not forget to keep your dream journal beside your pillow so that you could record your dream experiences. If you drink tea, then you may want to try organic dream tea that helps to have lucid dreams. I hope you enjoyed this post. I have also shared some important tips that can help you lucid dream which you might want to check out. I would love to hear your views about this so please do leave me a comment in the box below.